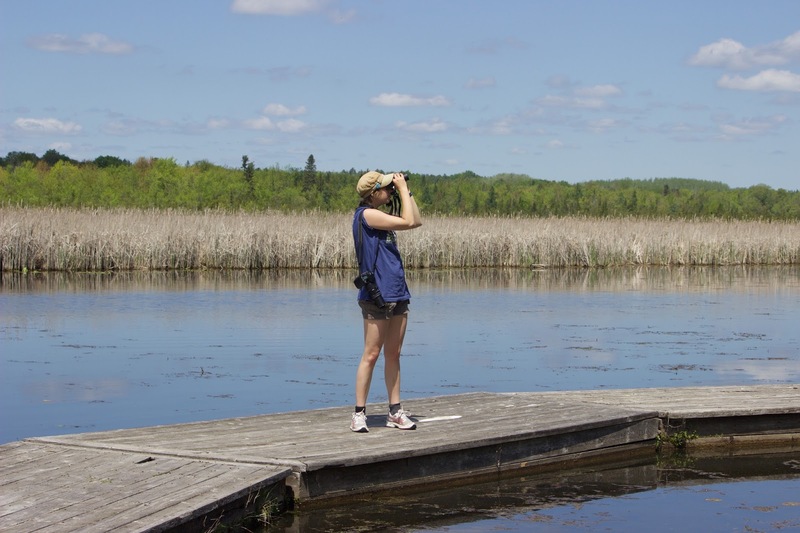 The Great Canadian Birdathon, previously called the Baillie Birdathon, is a fun fundraising event to raise money for Avian Conservation, local wildlife groups and local bird banding stations. Money raised goes directly to these groups to help support the conservation and research of birds! 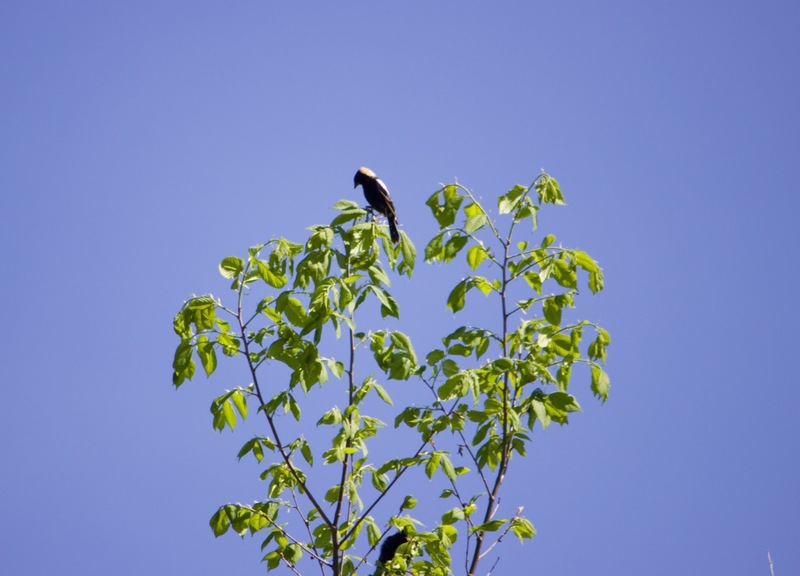 The money that I was able to raise will go to Bird Studies Canada as well as the Tommy Thompson Park Bird Research Station, the station where I was able to get my first real taste at bird banding and fell even deeper in love with birds. Thank you to everyone who put in a donation, large or small, towards this awesome event...especially those who sponsored me! 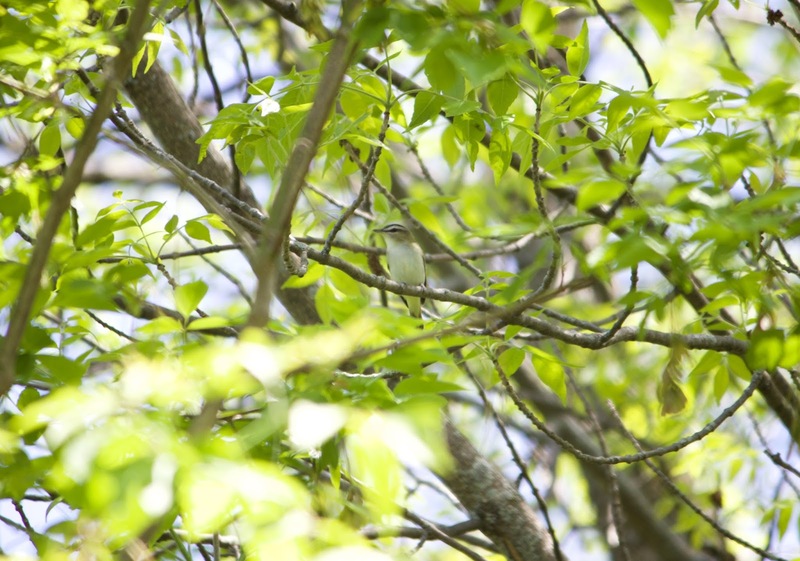 It has taken me a bit of time to get around to sitting and writing this update on the Birdathon...but here it is! 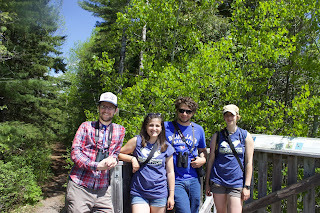 Our Birdathon team consisted of Dan Chronowic (my lab mate), Ariel Lenske (our honorary lab mate), Michael Colley (boyfriend and honorary birder), and myself. With all of us conducting field work, it took quite a while to find a date that worked for us all. 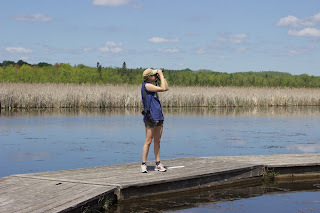 We begun our count on May 16th at 2:00 from whatever location we were at and then throughout the next 24 hours we visited quite a few different spots! 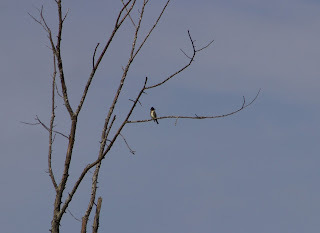 The starting point for Mike and I, was at my lakeshore sites where I was conducting nest counts; this made my first bird of the Birdathon, of course, a Bank Swallow! Once my nest counts were over, we made our way back to Peterborough to meet up with Dan where we spend about two hours birding around Trent. 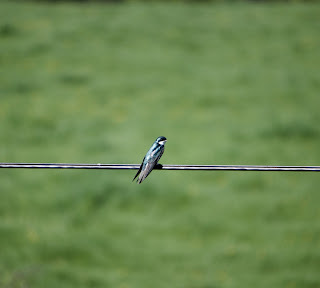 Some of the stops around Trent included the pedestrian bridges for Cliff Swallows, around the Rowing House, and throughout Trent's Nature Reserve. 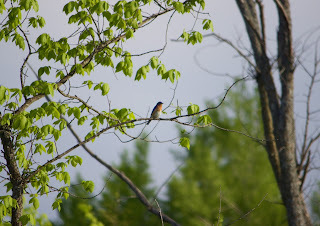 We saw a wide variety of species here with the most exciting being: Magnolia Warbler, Olive-sided Flycatcher, Eastern Bluebird, and Hummingbird! 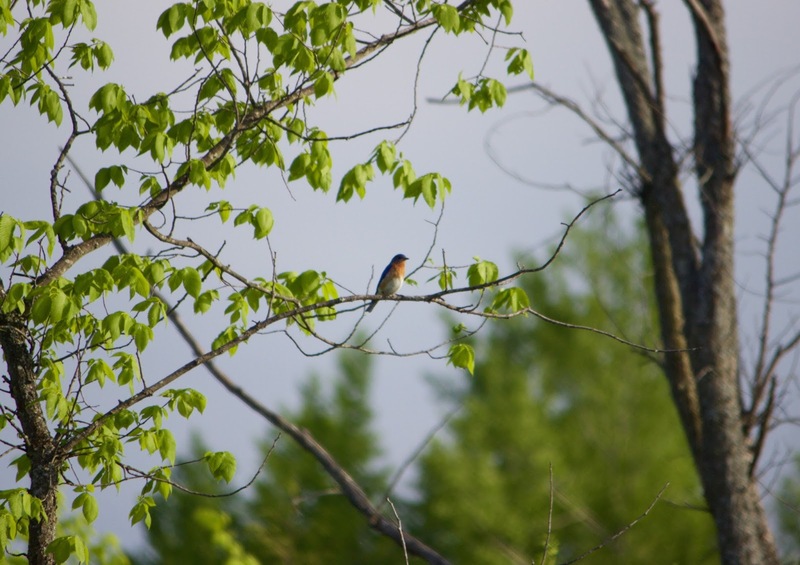 We then came back to my house for a BBQ and birding in the little creek behind my house. Once supper was over we headed out to Haroldtown Conservation Area to look for Woodcock. We got there around dusk, just in time for the mosquitos to have a feast on us. 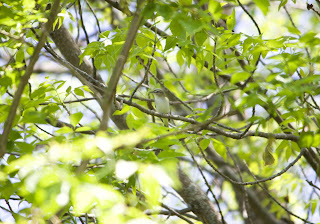 We climbed to the top of the hill and could hear White-throated Sparrows all around us. Woodcocks also began singing and we were able to count at least three around us! 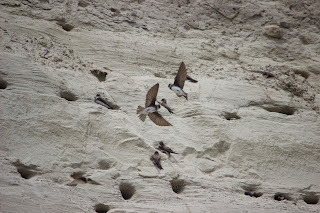 Unfortunately it was too dark to actually see them, but we could hear their "peeent" call, as well as listen to them flying through the air during their little dance. If you've never seen this in real-life...I would definitely take 5 minutes to youtube this! A little bit of non-bird excitement was when we were on top of the hill, we suddenly heard the yipping and yapping of coyotes in the near distance! It's been so long since I've heard coyotes calling to one another. Do they ever need a howling lesson! The next morning we woke early and began the day in Beavermede Park, specifically in the Ecology Park area. 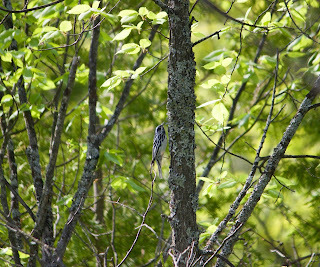 Our first bird of the morning was a Tennessee Warbler, which was actually a lifer for me! A bundle of Redstarts, Yellow Warblers, and Red-eyed Vireos were singing, but overall not too many "new" species for the day. 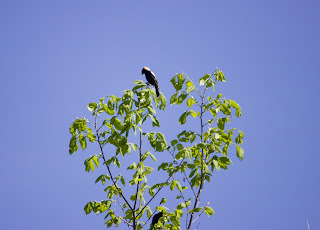 We then headed past Trent University to Lakefield, making a few stops along the Otonobee River to check out the trails. 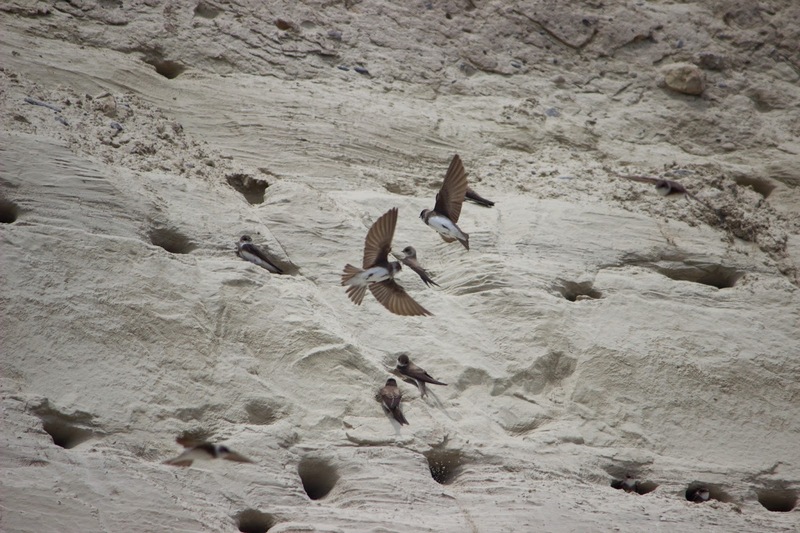 Once we finished up at the trails we headed to the Lakefield Sewage Lagoons where we spotted some Least Sandpipers, Black Terns and of course a bundle of nesting Tree Swallows. The Gadwall and Northern Shoveler that had been hanging around the area were still there too! We finished up here and drove out past Lakefield to checkout some hayfields for a few grassland species, but we found much more! In the grasslands we spotted Bobolinks, Eastern Meadowlarks, Savannah Sparrows, and Kestrels. 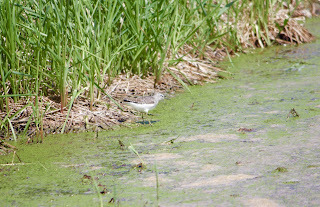 Unfortunately, we weren't able to spot any Grasshopper Sparrows or any Upland Sandpipers, which was a target species for all of us. 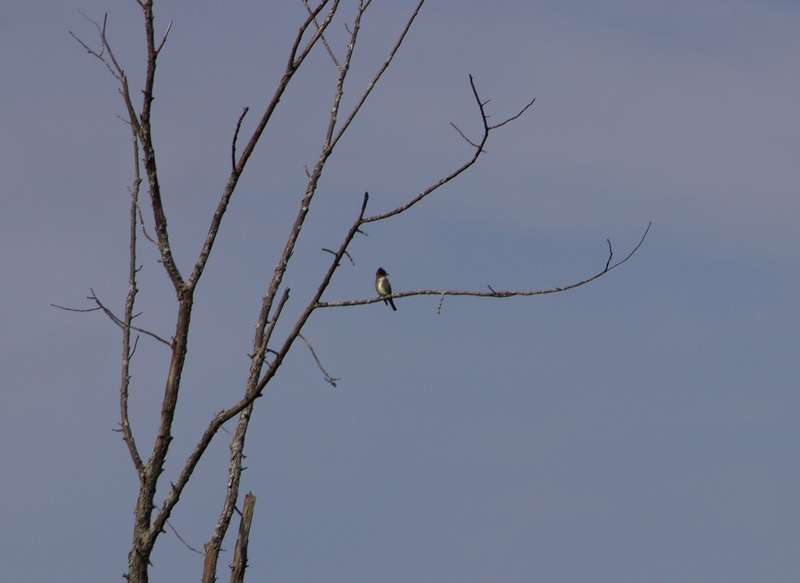 Driving between grasslands we would stop at random patches of forest or swamp to see what else we could spot. 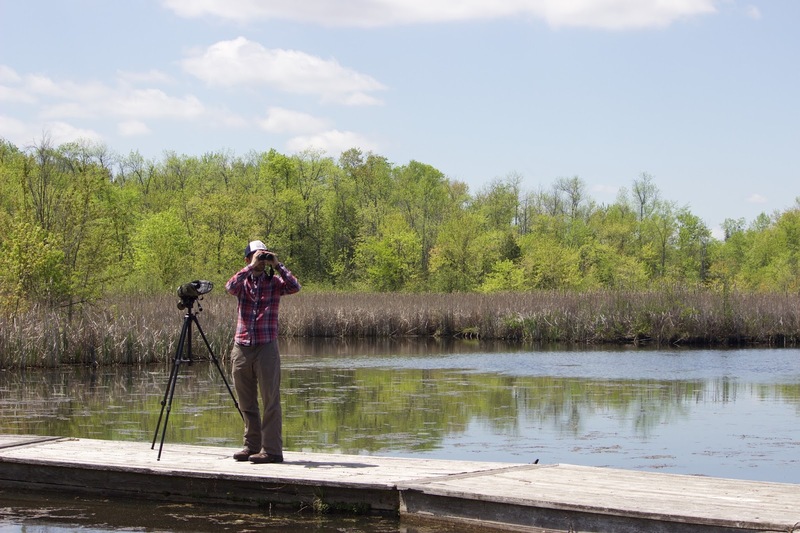 At these quick stops we spotted: Common Yellowthroat, Northern Waterthrush, Brown Thrasher, Swamp Sparrow, and a number of others. At one particular spot, we noticed a small pond at the end of a farm field and noticed something tall wading through the mud. 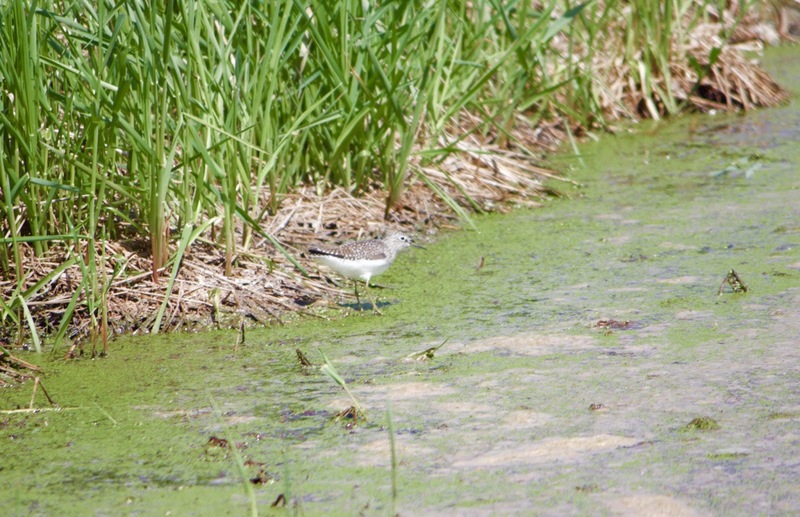 It turns out that we found about 8 Solitary Sandpipers, 2 Killdeer and 1 Lesser Yellowlegs! 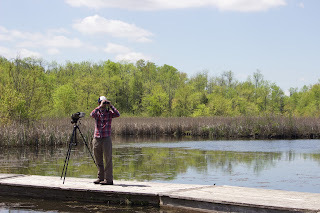 Once we finished in this location, we drove back to Lakefield and stopped at the Lakefield Marsh. It was my first time visiting this area and I certainly will be back! 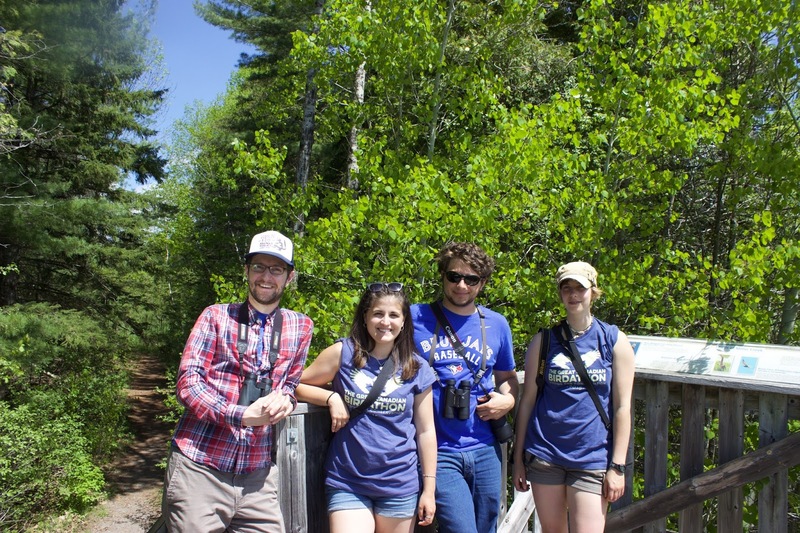 We even spotted a Yellow Warbler nest while we were looking out from the observation tower. Eventually we made our way back to Peterborough in time for Dan to get back to his young ones, Ariel to get back in the field, Mike to drive back to Perry Sound, and myself to start driving to Long Point. That's field season for you! Here is the final list of every bird that our team saw for our 24 hour Birdathon. 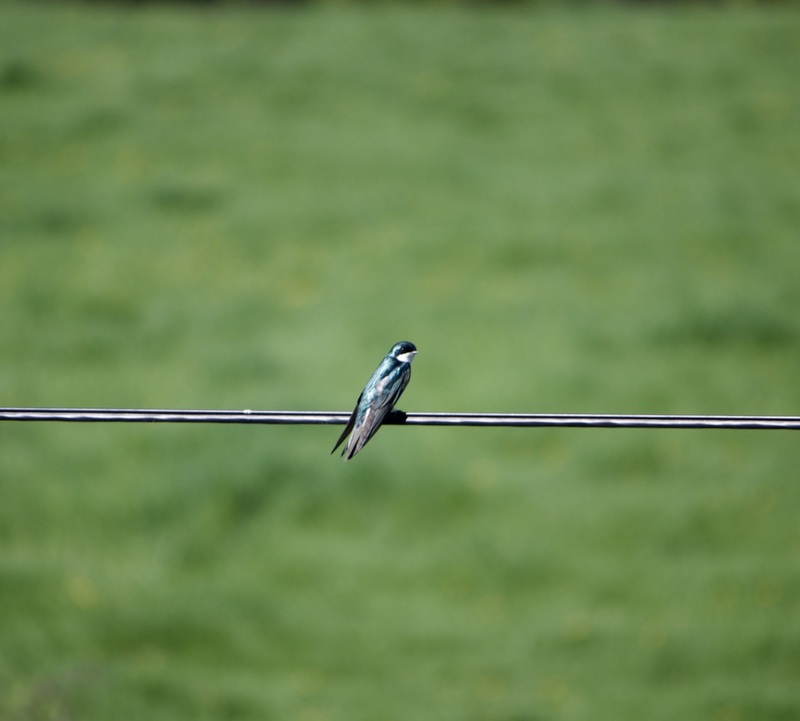 Since we put it into E-bird it unfortunately didn't keep the order in which we actually saw them. So instead they are separated based on the day we first saw the species. Thanks again for supporting Team Gullamity of Bird Brains! We can't wait to take part again next year.